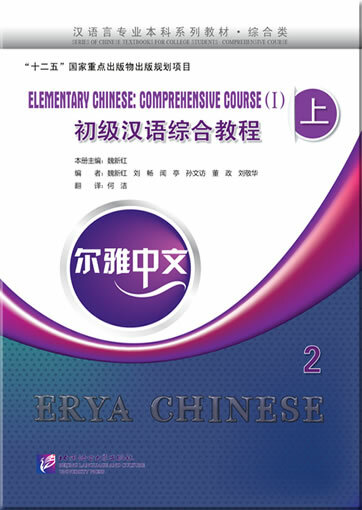 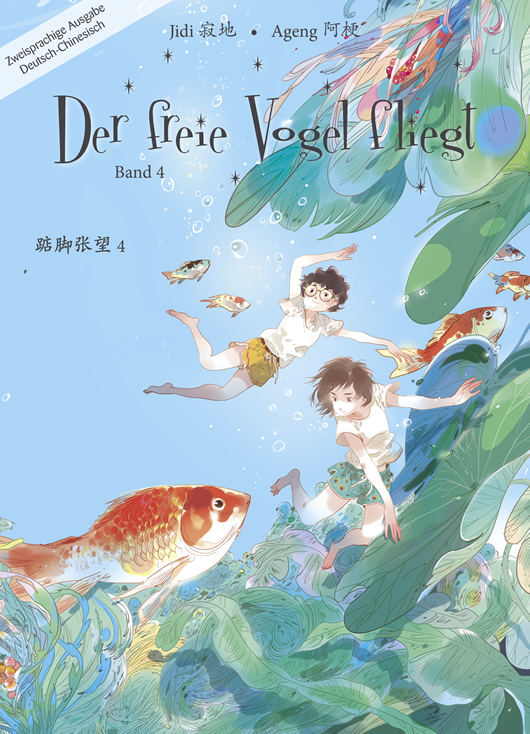 Erya Chinese, a series of textbooks for foreigners taking an undergraduate program of Chinese, is compiled by teachers of the College of Chinese Studies, Beijing Language and Culture University and has been selected as a set of nationally planned textbooks during the “Twelfth Five-Year”. 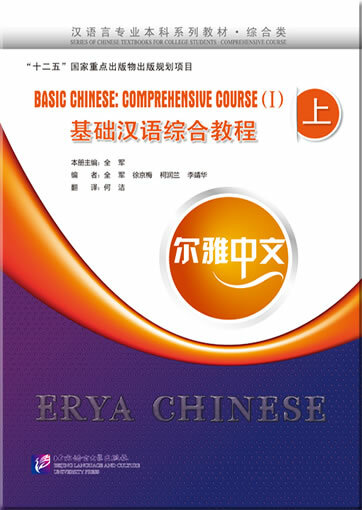 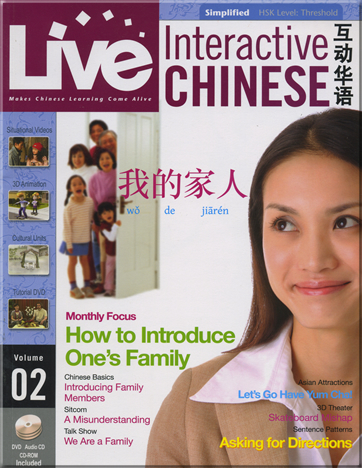 Erya Chinese—Basic Chinese: Comprehensive Course is suitable for foreigners who plan to take an undergraduate program of Chinese. Used as a textbook for the compulsory course—comprehensive Chinese course, it is divided into two sub-volumes, each with 16 lessons. 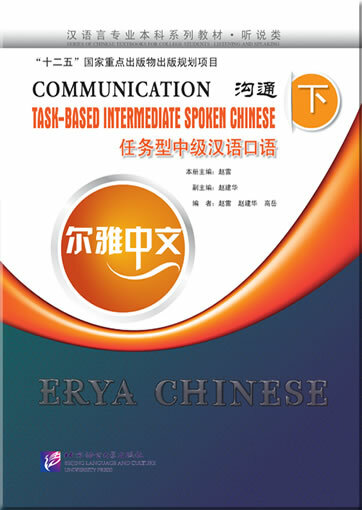 The first eight lessons teach pronunciation and Lessons 9-32 teach grammar. Each lesson is comprised by such parts as the Learning Tips, Text, New Words, Note(s), Grammar, Communication, Writing, Pronunciation, Characters, Activity, Cultural Note, Summary, etc. Each unit is composed of four lessons and has a summary of grammar notes and a unit review starting Lesson 9. 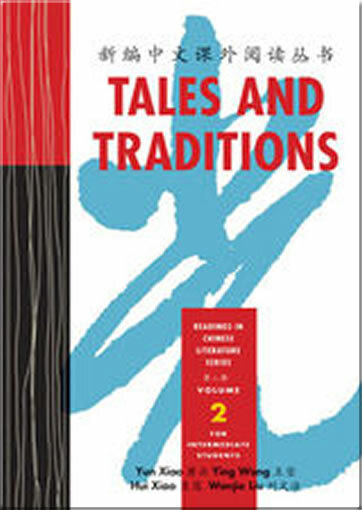 Both Books 1 and 2 are accompanied by loose-leaf worksheets. 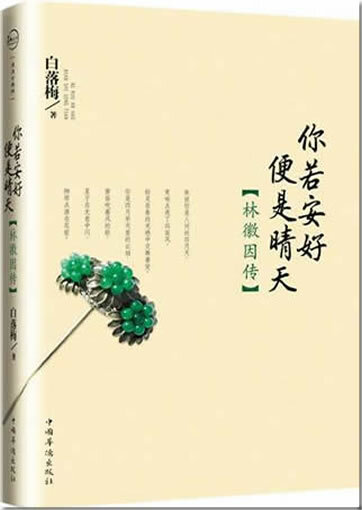 Quan Jun, Xu Jingmei, Ke Runlan and Li Jinhua, teachers of College of Chinese Studies, Beijing Language and Culture University, have long been devoted to teaching and researching Chinese as a foreign language. They have rich experience in this field, especially in the teaching and textbook compilation of a beginner-level comprehensive course. 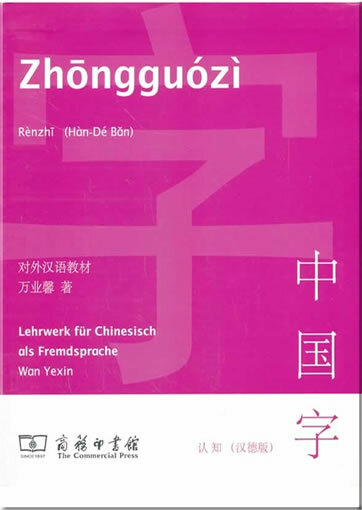 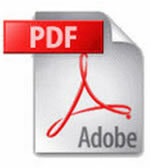 This product was added to our catalog on Donnerstag 23 Januar, 2014.